Awesome Star Wars Bathroom Accessories! May the Force be with You …in the bathroom! 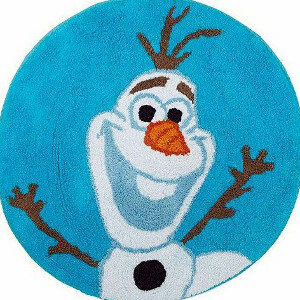 They are perfect not only for a child’s bathroom, but also adult fans! 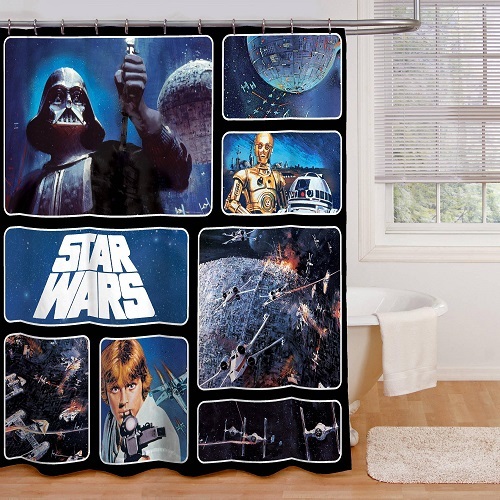 *It all starts with a cool Star Wars Darth Vader shower curtain, of course! Kids just can’t wait for bath time! A super fluffy 100% cotton towel wrap that gently hugs the skin and feels oh, so soft! This kids favorite (and mommy approved!) wrap is illustrated with a bright and vivid image of Kylo Ren holding his lightsaber, surrounded by Stormtroopers. 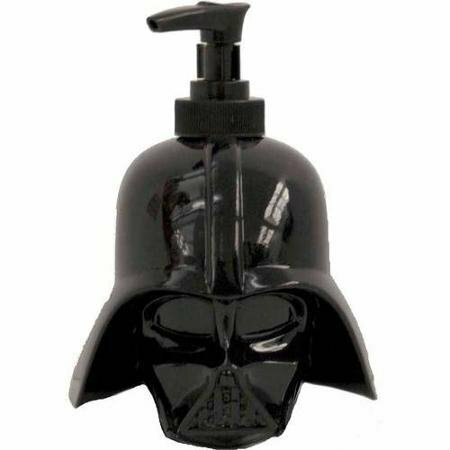 Of course we cannot talk about cool Star Wars bathroom decor without also including a cool soap dispenser! Turn your bathroom into an intergalactic scene with this large and soft, 100% cotton pile Star Wars bathroom rug! 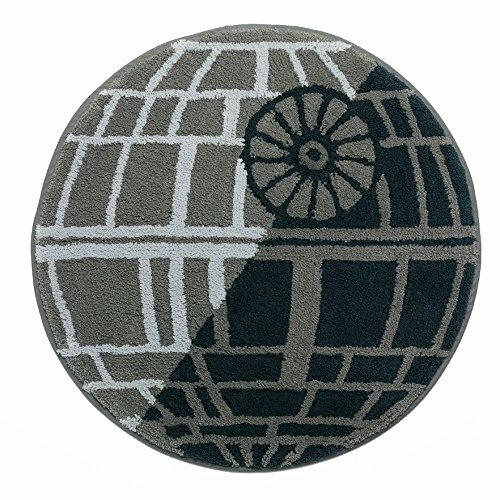 Here the iconic “Death Star” decorates this 24″ super soft no-slip bottom rug. 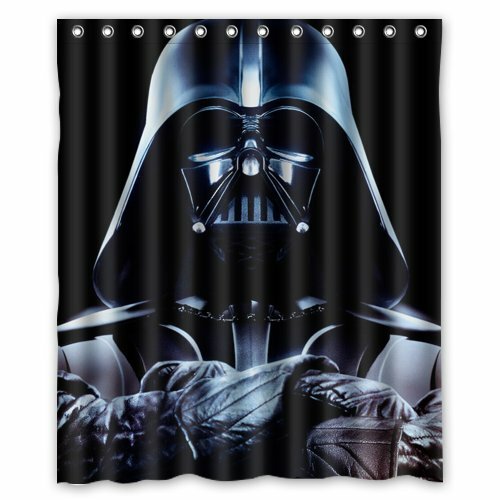 Step out of the shower in style; the Galactic Empire’s got nothing on you, rest assured. This Death Star is perfectly safe and has no destructive power whatsoever. 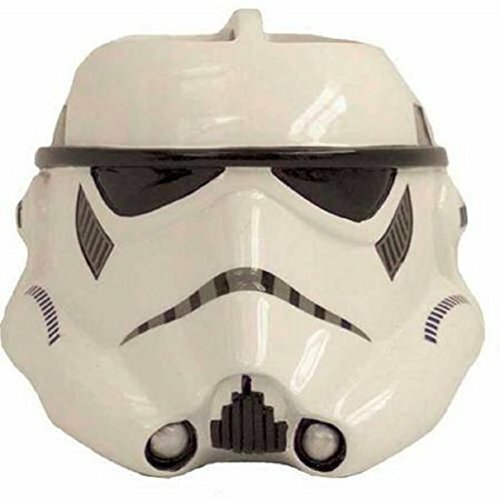 Coolest Star Wars Bathroom Accessories! 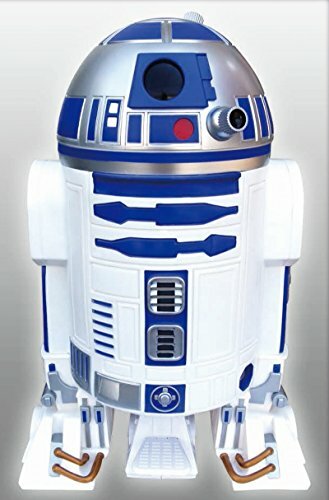 Star Wars R2-D2 Trash Can! This will be a dream come true for all Star Wars fans! Having their very own Star Wars R2-D2 astromech droid wastebasket in their bathroom! You don’t need any tools to install this ultimate Star Wars fan accessory in your bathroom, and you can use it in your very next shower! You’ll love the Oxygenics pressure boosting technology! (If you prefer to keep it gentle, that’s OK, too: just use the comfort control handle for lighter pressure). 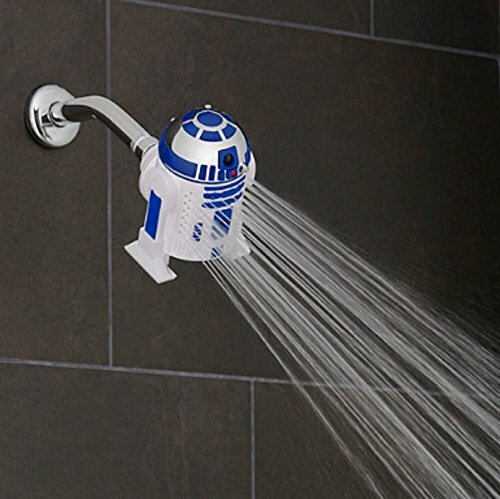 How about taking a shower using this fun Star Wars R2D2 shower head? 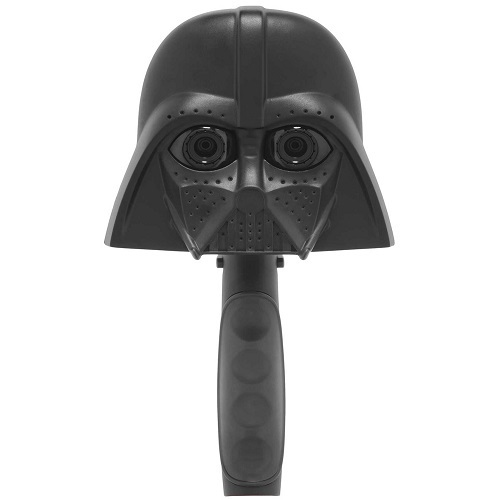 One of the coolest Star Wars bathroom accessories I’ve seen! 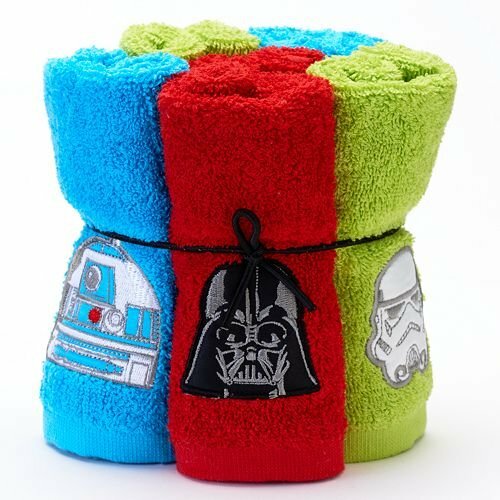 These super-soft, multi-colored washcloths are the perfect finishing touch for your Star Wars themed bathroom! In bright colors, and featuring appliques of your favorite characters: R2D2 in turquoise blue, Darth Vader in deep red, and Stormtrooper in lime green. You get two of each color and design, in a generous 12″ x 12″ size that can be used for hand or face drying. They will look great used side-by-side as guest or fingertip towels, too! Best Star Wars Bathroom Decor! 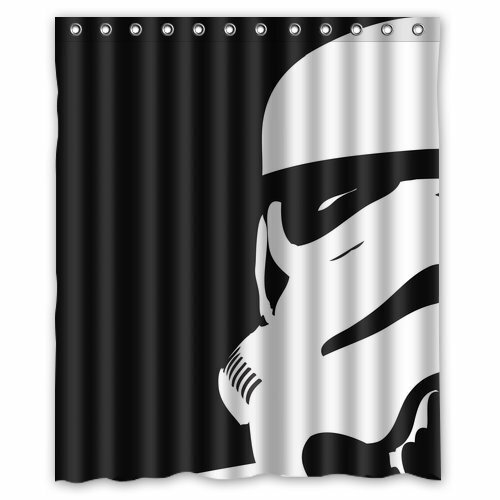 If everyone in the house loves Star Wars, how about also getting this cool Star War Stormtroopers shower curtain for your other bathroom? I also love the color contrast! Mind the evil Empire! 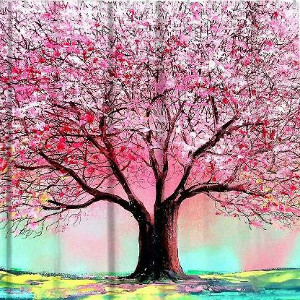 This vibrant piece brings iconic scenes and characters from the saga to your bathroom, in eight captivating panels. A perfect match to any of the other Star Wars bathroom accessories pictured on this page! While you’re at it, don’t forget to grab a coordinating shower curtain hook set featuring Rebel Alliance and Galactic Empire symbols! 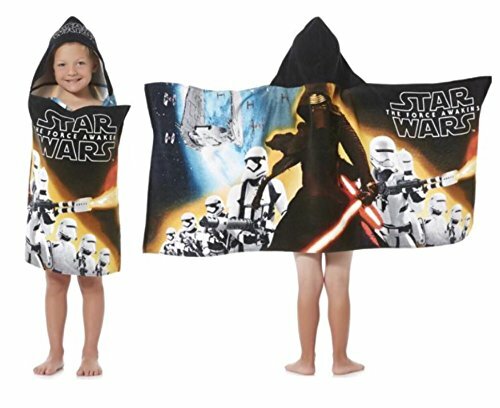 If you just want to find a complete Star Wars bathroom set and get everything in one quick ‘swoop’, I think this one might be for you! 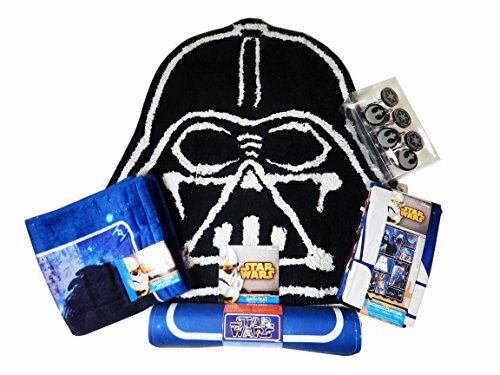 You will get a cool Star Wars polyester shower curtain, the cool matching shower curtain rings, a fun Darth Vader shaped rug, a cool bath tub mat and a gorgeous Star Wars cotton bath towel! What a creative way to decorate your sink top! What a novel accessory! 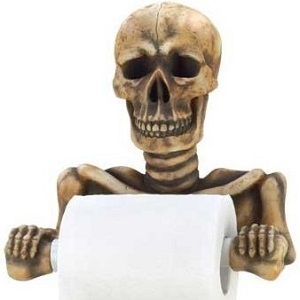 I love how it combines design and function, and adds the perfect finishing touch to your Star Wars theme bathroom decor. 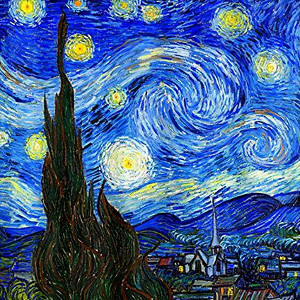 The piece measures 4″ x 4″ (it looks huge in the picture, but in reality won’t take much sink space) and is made of solid resin. Well, now it’s up to you to decide on what Star Wars bathroom accessories you will add to your home!